Some of America’s most cherished burial sites are found in the 624 acres of the nation’s best-known military cemetery. The rolling lawns filled with white tombstones, the Tomb of the Unknowns, and the grave of John F Kennedy are conspicuous symbols of sacrifices made for freedom. The flags fly at half-staff from before the first and after the last of about 27 funerals per day, as the graves of veterans continue to multiply. Nearly four million people visit the cemetery every year, some attracted by the historical importance of the site, many wishing to honor those who have died in the nation’s wars, others taking part in the funeral of a friend or family member. 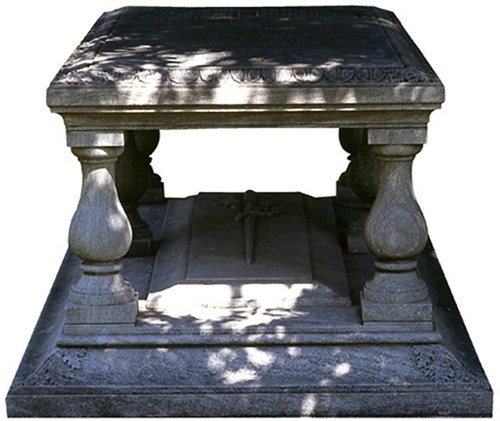 The cemetery visitors’ center provides maps, personalized information, and guidance. Robert E Lee was living in Arlington House in 1861 when tensions between the Union and the southern states reached a crisis. When Virginia joined the Confederacy and seceded from the Union, Lee became a general of Virginia’s military forces. Union troops then crossed the Potomac and took possession of Arlington House. 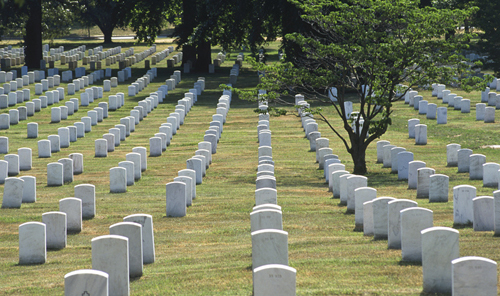 In 1864, Arlington National Cemetery was established to cope with the mass deaths of the Civil War. 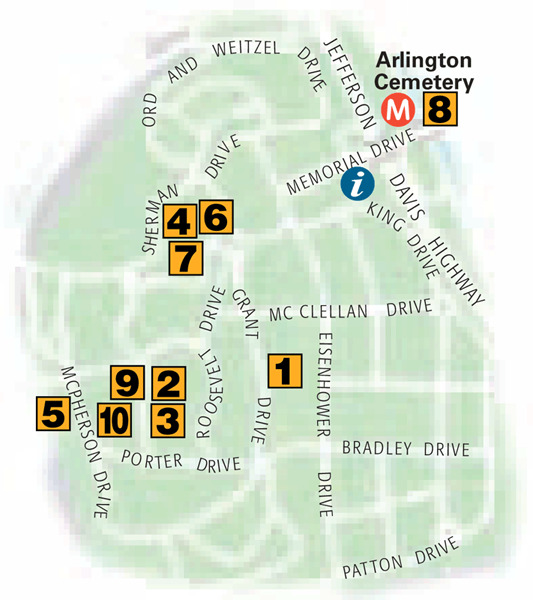 Covering the cemetery on foot requires walking long distances. The most convenient way to get to the cemetery is to take the Tourmobile from any of its 25 stops . They offer a cemetery-only tour that provides transportation through the cemetery along with commentary and interpretation. Approximately 350,000 people are buried on these grounds, marked by unadorned graves, arranged in regular grids, spread across the lawns. Although only a small percentage of America’s war dead lie here, the expanse gives a tangible picture of the human cost of war. 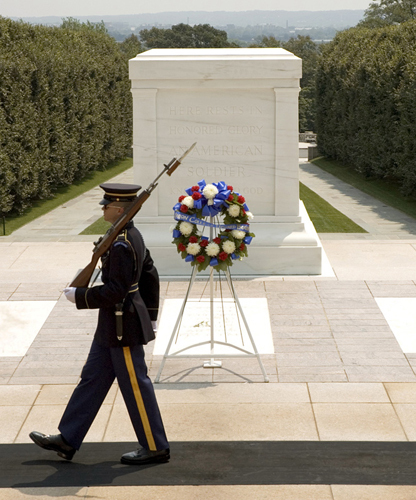 This solemn monument is guarded 24 hours a day by The Old Guard. Unknown soldiers of World Wars I and II and the Korean War are entombed here. A Vietnam soldier was interred here, but he was later identified. The setting for the Memorial Day and Veterans Day ceremonies. 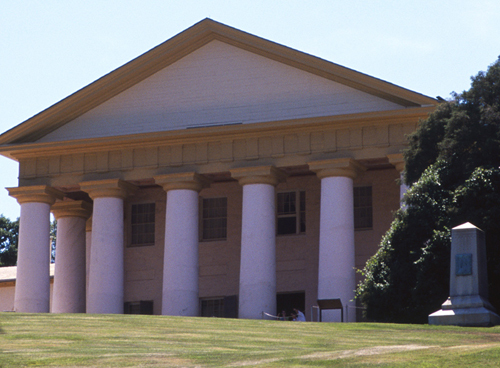 This impressive mansion was conceived as a memorial to George Washington, built by his step-grandson. 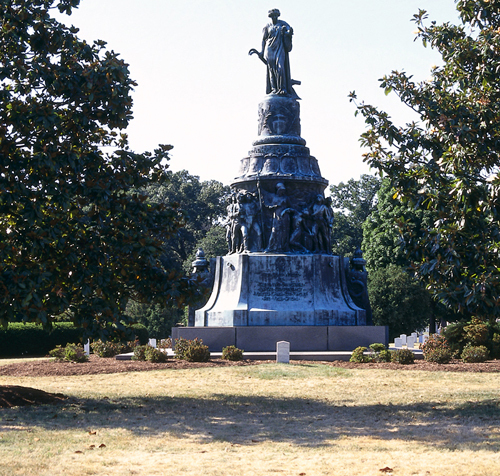 Although the cemetery is popularly thought to be only for Union soldiers, 482 Confederate soldiers are buried here as well, in circular rows around a central memorial. 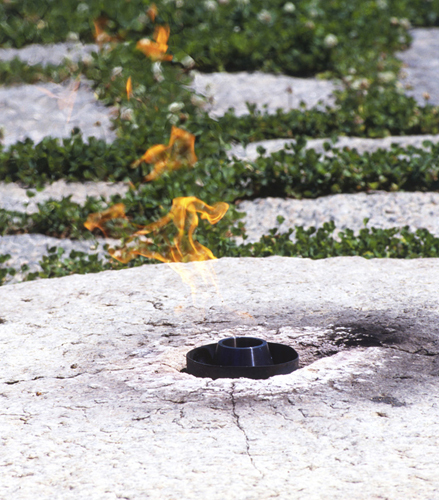 The eternal flame was lit by Jacqueline Kennedy on the day of the assassinated president’s funeral. In 1994 she was buried beside him. Honoring the designer of the city grid of Washington , L’Enfant’s monument shows the plan of the city within a circle. A bronze construction worker pauses to make friends with a young child. The Seabees – so called from the initials of their name, the Construction Battalion (CB) – performed daring feats in building the military bases needed to win World War II. This memorial honors the astronauts who died in the explosion of the space shuttle Challenger in 1986. A memorial to the 2003 Columbia space shuttle tragedy is nearby. This dark granite memorial displays the insignia of the First US Volunteer Cavalry (the “Rough Riders”) and the battles they took part in during the Spanish-American War.